Using public lands along highway rights of way and optimizing weigh stations were common suggestions from stakeholders during listening sessions about truck parking hosted by federal transportation officials. Specifically, industry executives, business leaders and truckers called on state and federal officials to adopt “creative” uses of public lands as a way of adding more parking along freight corridors for trucks. “The creative use of public land within highway rights of way was identified as a feasible approach to developing additional truck parking capacity,” according to a report the Federal Highway Administration published in June recounting DOT’s and the National Coalition on Truck Parking’s work from last year. “Simple ideas included the use of carpool lots, truck chain-up areas, ports of entry and weigh stations as temporary parking areas,” the report added. Stakeholders also suggested DOT and the coalition rely on carpool lots during overnight hours, as well as consolidate various highway sites into larger areas for truck-related activities such as truck parking. Federal officials and the coalition emphasized the report did not promote recommendations on truck parking. This year, the coalition indicated it would convene workshops with stakeholders to develop ways to implement the suggestions raised at last year’s regional meetings. Established in 2015, the coalition is made up of the Federal Motor Carrier Safety Administration, the American Association of State Highway and Transportation Officials, American Trucking Associations, Natso, the Owner-Operator Independent Drivers Association and the Commercial Vehicle Safety Alliance. As part of a $1 trillion, 10-year infrastructure plan, the White House is proposing selling energy assets to private investors as a way of coming up with capital for infrastructure projects. 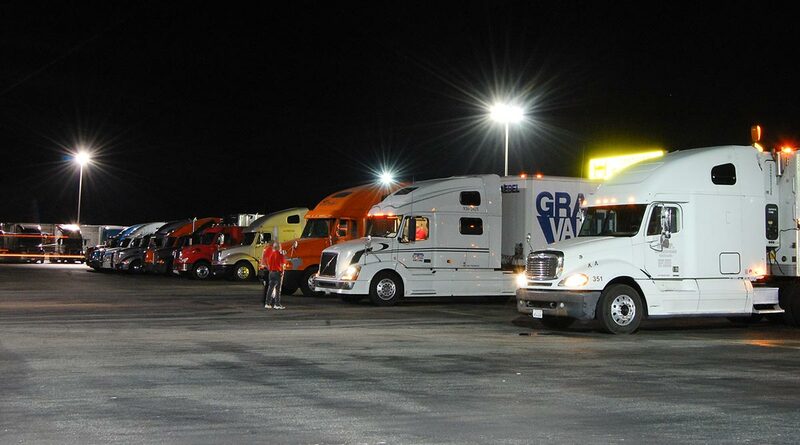 It is unclear if investors would convert energy assets into parking for truckers. The shortage of truck parking around the country ranked fourth on the American Transportation Research Institute’s top 10 issues affecting the freight industry in 2016.